Thu., June 8, 2017, 12:48 p.m.
On Tap covers the Spokane area beer scene, one drink at at time. Local beer drinkers soon will learn what being Bombastic is all about. To the owners of Bombastic Brewing, North Idaho’s newest brewery, it’s about adventurous recipes (and curious names) – like the Attempted Murder vanilla cinnamon stout that debuts next Thursday at Enoteca in Post Falls. It’s about alternative business models. Bombastic plans to produce small-batch specialties in-house, but contract with other area breweries to make regular, larger-scale offerings. And it’s about a more ambitious approach, like the sort of celebratory bottle release events you might see at breweries in bigger cities such as Seattle and Portland. The idea grew out of beer-geek bonding between Hottenstein, a railroad engineer, and Russell Mann, former owner of the Enoteca wine and beer shop. Along the way, they met up with Matt Skillicorn, a mechanical engineer who’s been homebrewing for seven years. Skillicorn makes the beer with the help of Hottenstein, who spreads the word, with Mann working behind the scenes on the business end. Their combined credentials are solid; between them, they’ve sampled beers from every state in the U.S. and drank their way through Europe. Bombastic started taking off after Mann sold Enoteca in July 2015. It lined up space in the Panhandle Area Business Council incubator at the Hayden airport, which houses the half-barrel (15-gallon) pilot brewing system. All the beers are being brewed there now, but negotiations are underway to rent excess capacity at established area breweries – the sort of so-called “gypsy” brewing done by such creative cult favorites as Mikkeller and Evil Twin. Bombastic’s beers take their names from the terminology for groups of various animals (except for eventual barrel-aged offerings, which will be named after assorted deities). Stark but intricate black-and-white label designs come from Hottenstein’s former tattoo artist. Attempted Murder is a variation on Bombastic’s standard stout recipe, Murder (after a group of crows), which includes vanilla, cinnamon, cocoa nibs, Ancho chilies and cayenne. Since it’s missing those latter three ingredients, Hottenstein said, it’s “almost Murder”; its label pictures two evil-looking crows, but not the knifed crow corpse they’re standing over on the regular Murder label. Also on the darker, stronger side is a 7.5 percent imperial porter dubbed Sleuth (bears), brewed with dark wheat malt and honey for a roasty aroma and smooth, dry-finishing flavor. The regular IPA, Wisdom (wombats), starts out with the soft juiciness of the New England style followed by a decidedly West Coast hop kick. Then there’s Puddle (platypuses), an easy-drinking, Citra-hopped pale ale that also will pour at Enoteca along with Attempted Murder. The initial batches will be split between a small keg or two for events like Enoteca’s and a limited run of 22-ounce bottles, which will be available only at the brewery. Bottle releases will be announced through Bombastic’s email list and website. Hottenstein hopes those will capture some of the excitement of similar release events at more in-demand breweries, which can draw people from around the country. “I’ve met many people standing in line to get beer that I’m still in contact with today,” he said. 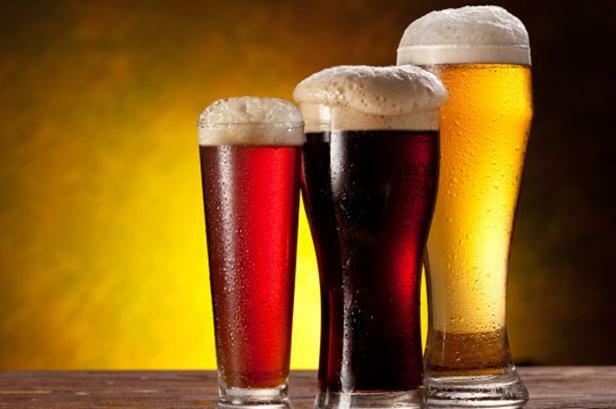 The beer lineup is set for next week’s inaugural Crave NW food and drink festival Thursday through June 18 at CenterPlace in Spokane Valley. Local breweries include No-Li (which has released a Crave Golden Ale in 22-ounce bottles), Bellwether, Laughing Dog, Orlison, River City and Twelve String. They’re joined by regional craft brewers Grand Teton, Iron Horse, Ninkasi, Yakima Craft, Wander and gluten-free Ghostfish. And from the Anheuser-Busch stable, there will be offerings from Blue Point (New York) and Golden Road (Los Angeles) along with the more familiar 10 Barrel, Elysian, Goose Island and Stella Artois. All will pour for the grand tastings Friday and Saturday afternoons, with selected beers at other special events. For ticket and schedule information go to cravenw.com. Four North Idaho breweries earned medals in last weekend’s North American Beer Awards at the Mountain Brewers Beer Fest in Idaho Falls. Wallace Brewing won gold for its 1910 Black Lager and silver for Compressor SMaSH amber lager, while Laughing Dog took gold for Imperial Pecan Porter, MickDuff’s gold for Se Hable Cerveza lager and Selkirk Abbey silver for its 12˚ Belgian strong dark. Steam Plant Brewing has closed for the summer while its adjoining restaurant and brewpub undergo renovations. Home-based Bottle Bay Brewing is pouring its first release – a more malty, balanced IPA with spicy/piney Chinook hop notes – at the Rocket Market, where owner/brewer Marco Plastino works. The latest in Perry Street’s series of hazy, fruity New England-style IPAs (7.4 percent alcohol by volume, 60 International Bitterness Units) adds Citra hops to the previous Simcoe, Mosaic and Ron Mexico. Slate Creek’s Dark Side of the Moon (6.1, 56) is a black ale brewed with star anise. Bellwether’s Summer Run session braggot collaboration with Nu Home Brew (4.6, 10) is made with locally produced Palouse Pint wheat and biscuit malts, clover honey, basil, birch bark, lemongrass and late-addition hops. English Setter is serving a light, unfiltered Leg Lifting Hefeweizen (4.2, 25). The sweet/tart Passion Fruit Gose (4.2, 12) is back for the summer at 12 String. Beerocracy in the Garland District celebrates its first anniversary Friday through Sunday with special beers from Boneyard, Breakside, Deschutes, Ecliptic, Fort George, Fremont, Great Notion and Reuben’s plus live music each night at 8. The Filling Station on 5th’s second anniversary party Saturday in Coeur d’Alene will feature several Fremont beers including five firkins and infusions. The Newport Highway Growler Guys hosts a Pints for Pups fundraiser Saturday from noon to 4, with proceeds from select beers and ciders going to the SCRAPS animal protection agency. Selkirk Abbey’s fifth anniversary celebration June 17 will feature its recently introduced non-Belgian Northern Cross line (amber, IPA and stout), with sales benefiting the families of North Idaho law enforcement officers shot in the line of duty. Northern Ales has its 10th anniversary party June 17 in Kettle Falls. The Steel Barrel taproom marks its first anniversary June 22-24 with food and drink specials. Published: June 8, 2017, 12:48 p.m.